Dyson AM01 10" Air Multiplier Table Fan - CLOSEOUT! zenoshop has no other items for sale. Love this Christmas gift. Quiet, efficient, light weight, love the remote. Can't go wrong with Dyson! I LOVE it! It is powerful and well designed. The air is cool and can cool our entire home office. Thank you!! 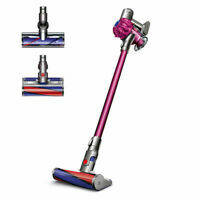 AM06 DYSON SIMPLY THE BEST!!! Wow.. what can we say, This is the best desk fan ever! period!!! The Dyson AM06 ticks all the right places, so technologically advanced and mind blowing. The design is simply beautiful and it is perfectly suited to sit any room and transform it. We would have one in every room if we could, absolutely brilliant! Works just as described. Wish I had order the lager version. First dyson fan I own and am loving it.